Here is a fun project I made this past week. 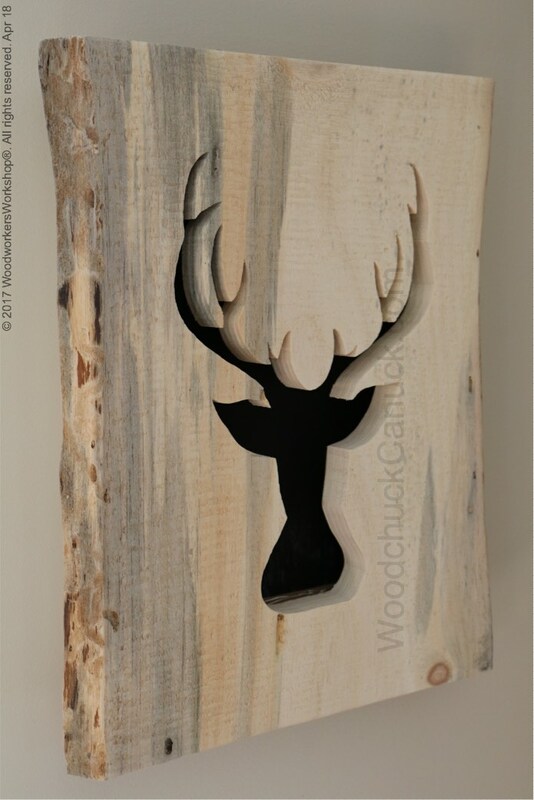 A live edge piece of 1 inch thick pine that features a silhouette of a deer head. 16.5 x 13 x 2.5 inches. But its more than just a silhouette cut out. 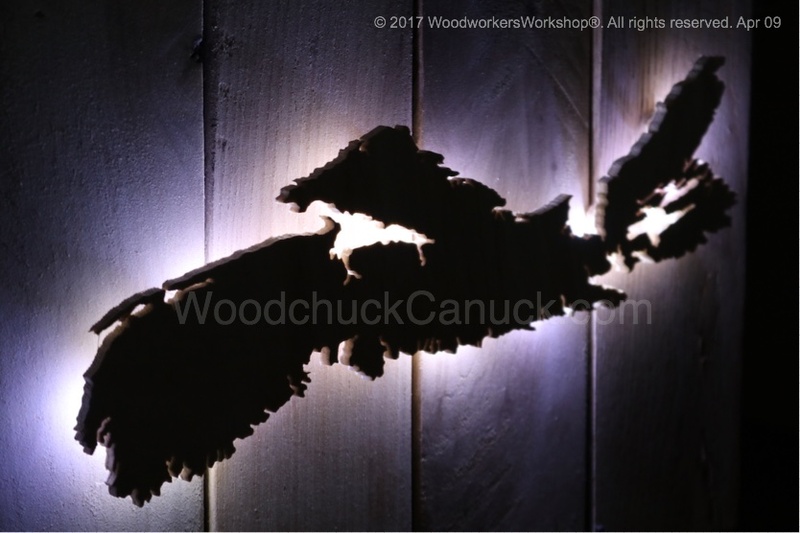 We cut this deer head silhouette from one inch thick pine that harvested locally here in north eastern Nova Scotia. 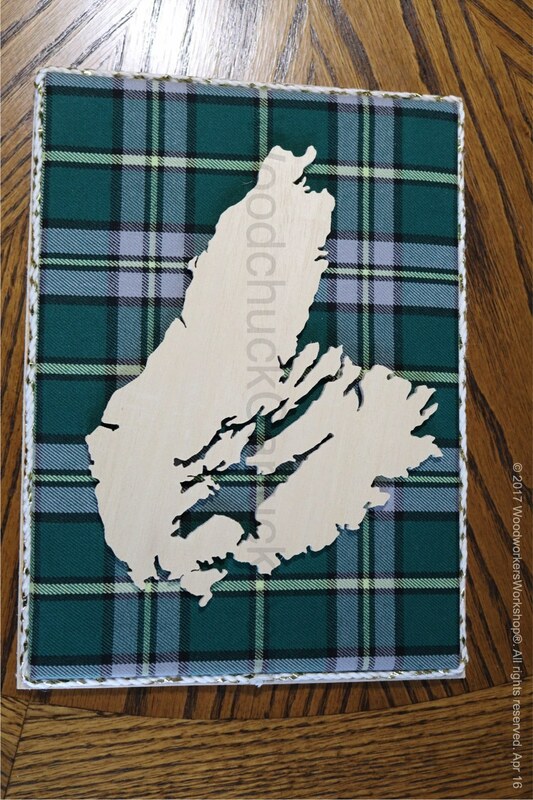 Our wooden map of Newfoundland features a detailed cut out of the island portion of the province of NL, mounted on the Newfoundland cloth tartan. 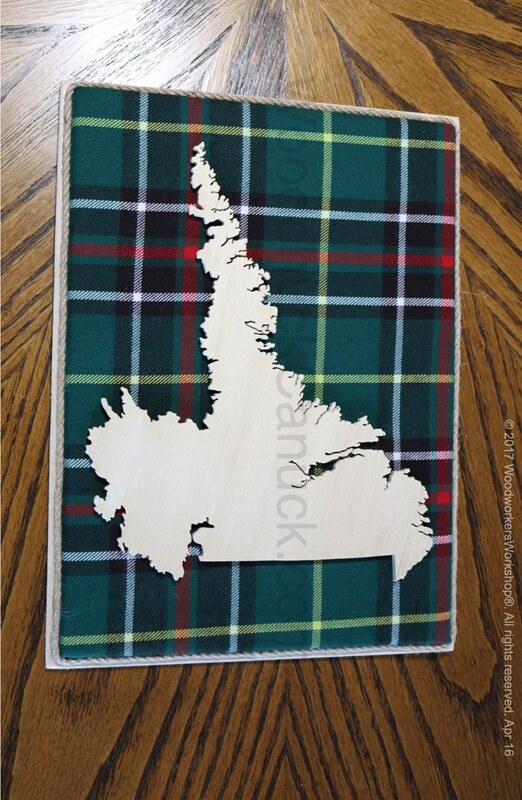 Our wooden map of Labrador features a detailed cut out of the mainland portion of the province of NL, mounted on the Newfoundland cloth tartan. 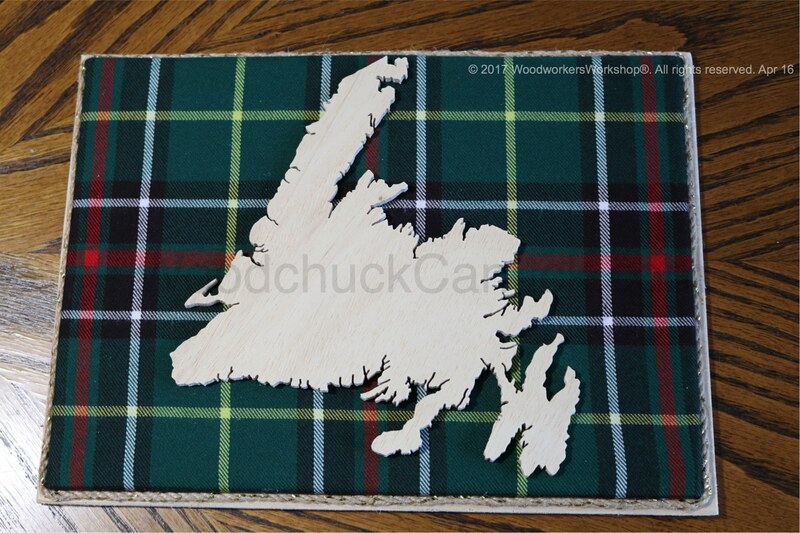 Our wooden map of Cape Breton Island features a detailed cut out of the island portion of Nova Scotia mounted on the Cape Breton cloth tartan. 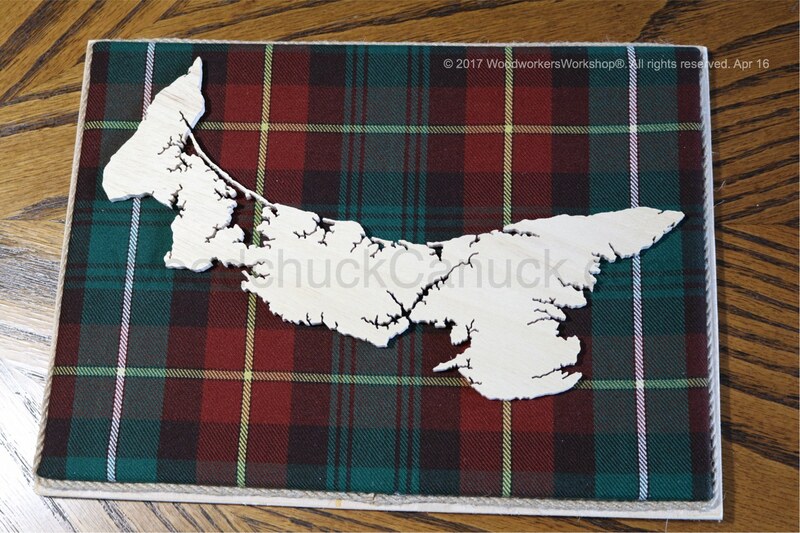 Our wooden map of PEI features a detailed cut out of the island province mounted on the Prince Edward Island cloth tartan. I have to say I enjoy cutting out these maps. Its almost therapy for me. 🙂 Each map is complete and ready to hang, a small hole is drilled in the back to hang it on the wall. Working on some new projects coming soon. 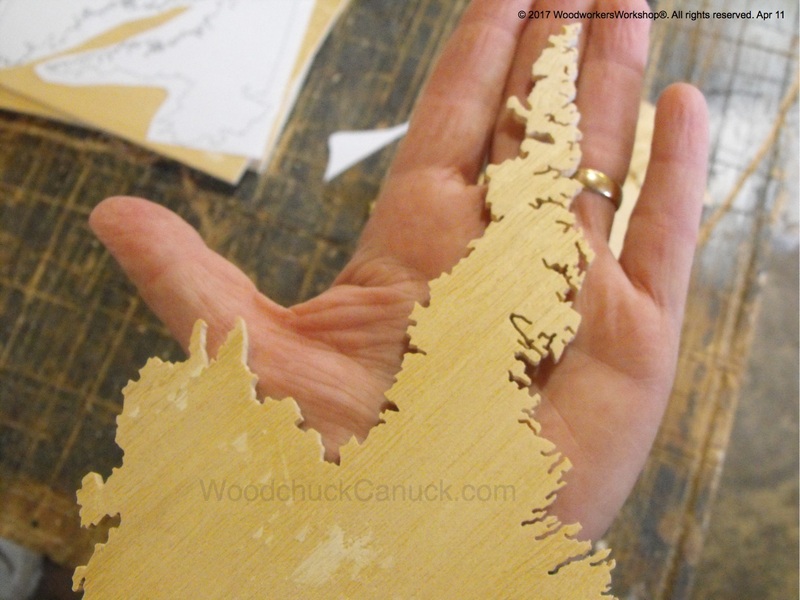 The other day I was working on the map of Labrador. 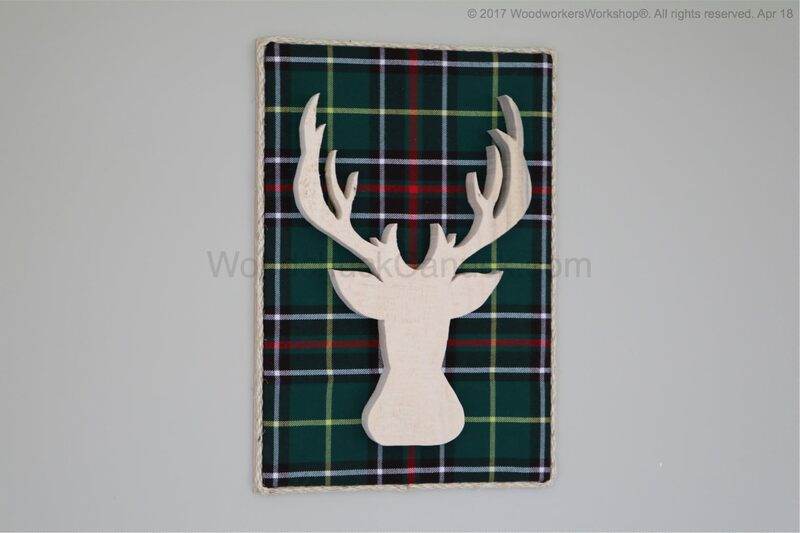 I am quite proud of this new woodworking project I created this past week. During November 2016 we hired a company to create some custom LED string lights (which will be available in our online store soon) and then I applied the lights in several new projects. 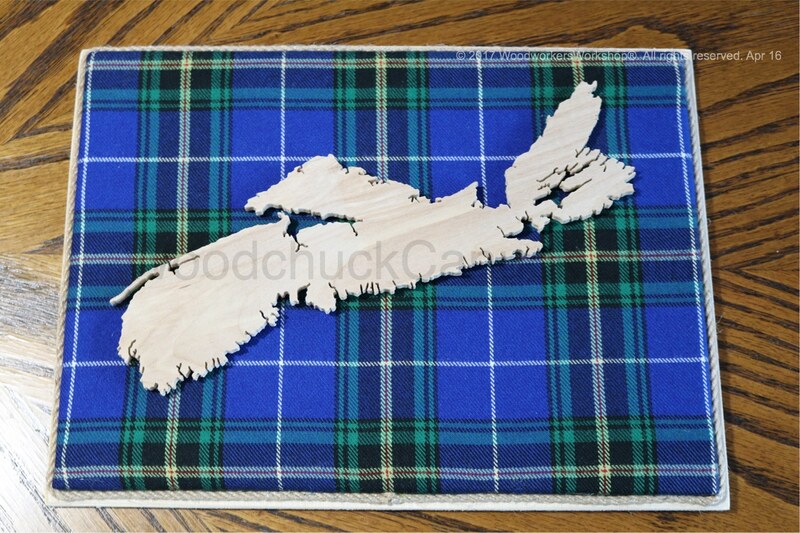 This map of Nova Scotia is one of several designs coming soon to our Maritime Collection. Jim Barry	Enter your password to view comments.